Finland Lotto, or Veikkaus Lotto as it is known, is a state-owned national lottery that has been going strong since the 1970s and has provided the lottery-loving public with a great option for weekly gambling ever since. According to official statistics, up to 70% of Fins play this lottery on a weekly basis, a statistic that any lottery organisation would be proud of. Draws are held once a week, on a Saturday, with tickets available in countless locations throughout Finland, as well as a number of major lottery vendors online. The Finland Lotto is just one of twenty games offered by Veikkaus. They were founded back in 1940 and have helped to establish a traditional of number games and other forms of gambling in Finland, with their football pools and national lottery being two of the biggest draws. A lot of the profits earned by Veikkaus are used to fund cultural programs in Finland, including education, health and the arts. 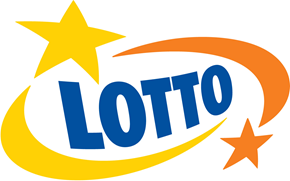 The Finland Lotto costs just €0.80 per ticket, making it a very affordable national lottery, especially when compared to the high prices on games like the UK Lotto and Irish Lotto. There is also a double-up feature that costs an extra €0.25 per ticket and doubles the value of all the prizes, including the jackpot. This feature works a lot like the Power Play on Powerball and the Megaplier on Mega Millions, only these US lotteries offer multipliers for all prizes except for the jackpot, while the Finland Lotto includes the jackpot. 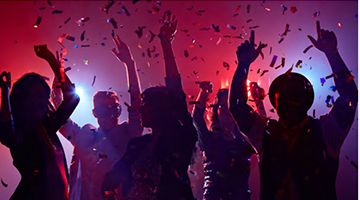 Tickets consist of seven main numbers, as well as additional bonus numbers, and players need to match all seven main numbers in order to win the jackpot. The bonus numbers only come into play on two prize tiers. The Finland Lotto jackpot reached its highest amount ever on October 2012, when it topped €12.2 million and was won by a single ticket holder. The jackpot odds are very low for a major national lottery, so roll-overs are somewhat rare, ensuring the jackpot never climbs too high and is usually won fairly quickly. The Finland Lotto has very accessible jackpot odds of 1 in 18 million, which is less than half the odds of the UK Lotto and New York Lotto, and less than a tenth of the US Powerball. However, the lower prize tiers have very large odds by comparison, with the smallest prizes returning odds of 1 in 97 (for 4 numbers) and 1 in 107 (for 3 numbers and the bonus ball). You do not need to live in Finland to play the Finland Lotto, nor do you need to buy a physical ticket from the country. You can play online through many unofficial vendors providing you are over the age of 18 and lotteries are legal in your country. There are many regulated and licensed online vendors, and while most of these only focus on the biggest and best national and transnational lotteries, there are a few more established vendors that offer tickets to smaller lotteries as well.